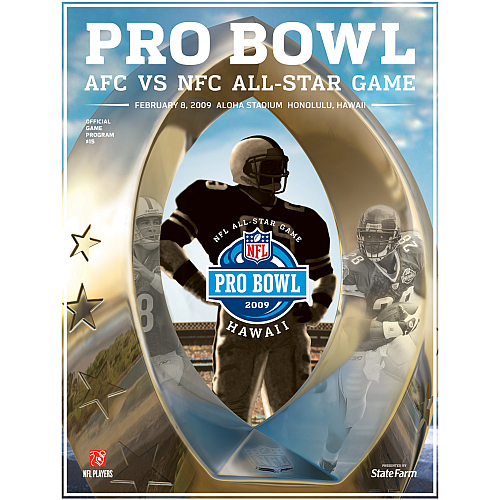 After 16 weeks of blood and pain, wins and losses, the 2010 Pro Bowl rosters have been announced, with Peyton Manning taking snaps as the starting quarterback of the AFC and Drew Brees calling signals as the quarterback of the NFC. This season’s Pro Bowl is notable because it will be the first Pro Bowl played at an actual NFL stadium (Miami’s Land Shark Stadium) since the 1979 edition, which took place at the LA Coliseum. You can read the full rosters here. I’ll have you note I had four of these guys (Rivers, Andre Johnson, Chris Johnson, and Ray Rice) on my fantasy football team this year, yet I didn’t even make the playoffs because I have horrible luck. I have an eye for talent, but no rabbit’s foot in my pocket to do anything with it. At least I didn’t have fantasy team killer Maurice Jones-Drew this year; I did have Ochocinco, but he didn’t make the Pro Bowl roster somehow. For a football fan, the announcement of the Pro Bowl rosters are a bittersweet event. It’s sweet because it’s two teams composed of the best professional football players on the planet, and it allows for a lot of debate as to whether or not certain guys deserve to be in certain positions. However, it’s a bitter moment because that means the regular season is almost over and that, entirely too soon, the NFL season will be over.